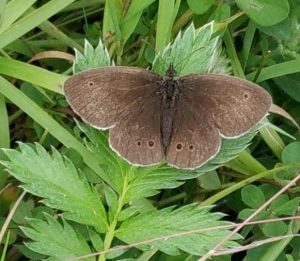 Here, at Ballynoe House, we have been looking at both developing and maintaining healthy wildflower meadows as well as steadily improving the butterfly-friendliness of the formal gardens and margins. 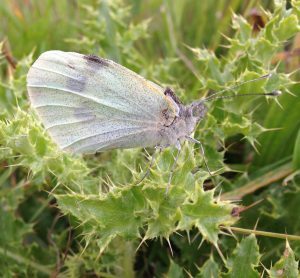 Over the last few years butterflies have been having a hard time, and numbers have dropped. We have been extending the planting of different buddleia bushes, as well as hebes, which the butterflies seem to love. This will also include the development around the self-catering lets. 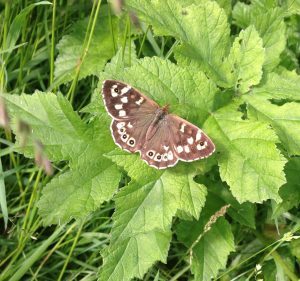 Apart from a few species that have successfully overwintered, our season usually starts with the Speckled Wood (Pararge aegeria), a brown butterfly with lots of natural variation. It thrives along the meadow/woodland margins we have at Ballynoe House, and is our most abundant species. It is seen from quite early on in Spring. 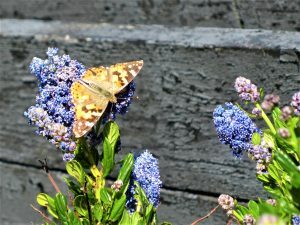 The Painted Lady (Vanessa cardui) is an early summer arrival, in time for the flowering of the Ceanothus. 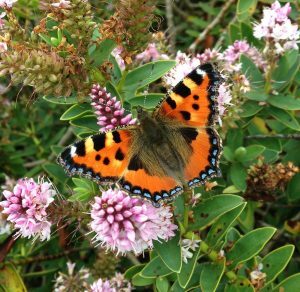 We have noticed that the buddleia almost finishes flowering in mid-late summer before the arrival of the main garden species – Red Admiral (Vanessa atalanta), Tortoiseshell (Nymphalis polychloros) & Peacock (Aglais io), so the dead flowers are removed to encourage a new flush of flowers. Spring comes early to West Cork, due to the warmth of the Gulf Stream, so sometimes flowering shrubs are ahead of the butterflies cycle. 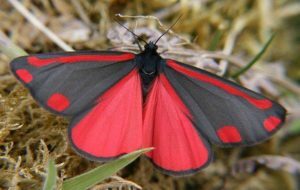 While not a butterfly, the Cinnabar Moth (grey with striking bright red markings) is quite common in West Cork, even during the day, due to the abundance of ragwort in unmanaged fields and roadside verges. The black and yellow-striped caterpillars are also a common sight on summer lanes. For formal identification, there are other species that we intend to capture with the camera. 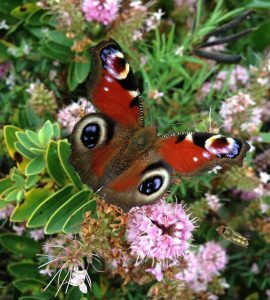 We hope that our guests and especially the children of our guests, will enjoy finding all West Cork’s butterflies around Ballynoe House.